The report has a different focus each year. In 2013 it was resilience, in 2014 it was micronutrient deficiency and in 2015 is it armed conflict, with a nice chapter by Alex de Waal. 1. New methodology. 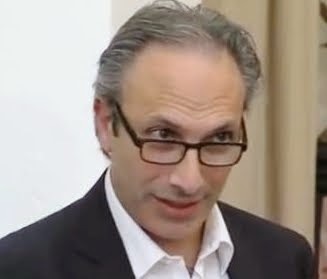 Previous reports combined undernourishment figures from FAO (basically food supply data fit to an income distribution to approximate purchasing power), underweight rates of under 5's--an all purpose but rather non specific indicator of poor child growth and under 5 child mortality rates. Each had an equal weight in the GHI. This year under 5 underweight has been replaced by under 5 stunting and under 5 wasting, each with a 1/6 weighting. The series was then recalculated back to 2000 to permit valid comparisons over time. 2. Hunger is associated with armed conflict, but not always. The countries that have the worst GHI scores --"alarming" include many affected by conflict, including armed conflict (Yemen, Afghanistan, Chad). Of course many countries with a bad score are not affected by conflict (e.g. Zambia). The countries that have improved their scores the most over the MDG era have been the ones with stable governance, committed leadership, coherent policies, investment in data systems and dedicated resources to the scale up of action. Conflict erodes all of thee. The report rightly highlights the positive experience of Brazil, Vietnam and Peru. As the Global Nutrition Report points out there are new positive stories emerging too: Kenya, Colombia, Tanzania and Ethiopia. 3. Data are the first casualty of conflict. Many countries affected by armed conflict such as Somalia, Sudan and South Sudan don't have enough data to even calculate a GHI score. One of the first casualties of war is often said to be accurate information. 4. Variation across countries in reducing GHI is enormous. There is enormous variation in improvement in GHI scores over the 2000-2015 period at different current levels of GHI. 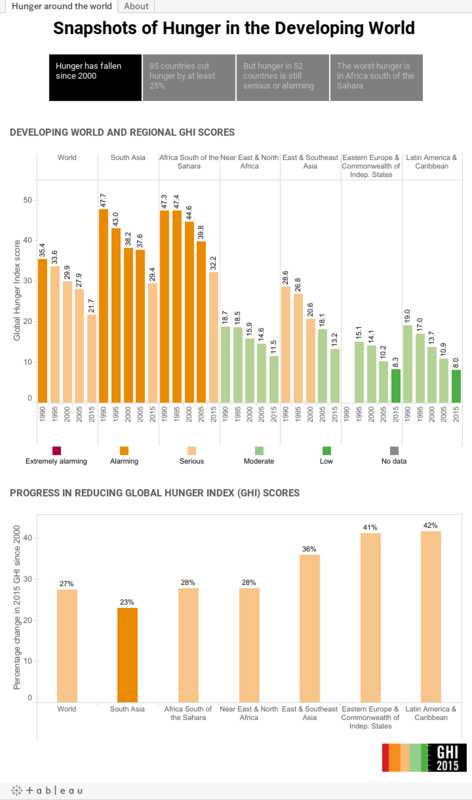 Despite still having "serious" GHI scores, Rwanda, Ethiopia, Angola, Lao PDR and Malawi have made enormous reductions in hunger scores. Other countries such as Namibia, Nigeria and Pakistan have similar current GHI levels but have made much less impressive gains. It would be good if future GHI's tell us the stories behind these big changes. 5. Unpacking the interactions of armed conflict and hunger is not easy. The chapter by Alex de Waal examines the interrelationships between conflict and hunger: Does conflict lead to famine and hunger? and Does hunger lead to conflict? The evidence is complex. The new wars tend to be civil wars--less lethal than the interstate wars but more protracted and harder to provide relief within as governments or rebels are less totally in control of territory within which relief operations can work. On the other hand, De Waal says that hunger may pose less of a threat to peace than in the past, although it is not clear to me why that is the case. The Global Nutrition Report notes that poverty is projected to be more concentrated in so called "fragile contexts" (p.24) and that the same will probably happen for hunger and undernutrition. In these places all the things that are essential for reductions in hunger and undernutrition are compromised, undercut and corroded. 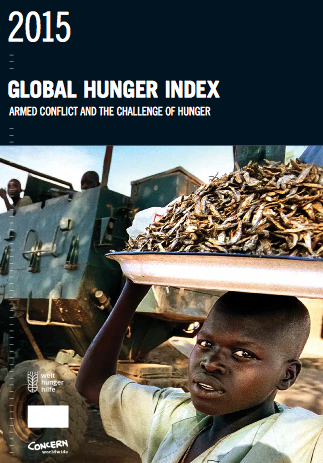 The GHI Report is to be congratulated for bringing conflict into the mainstream hunger discourse. The rest of us would do well to follow suit.